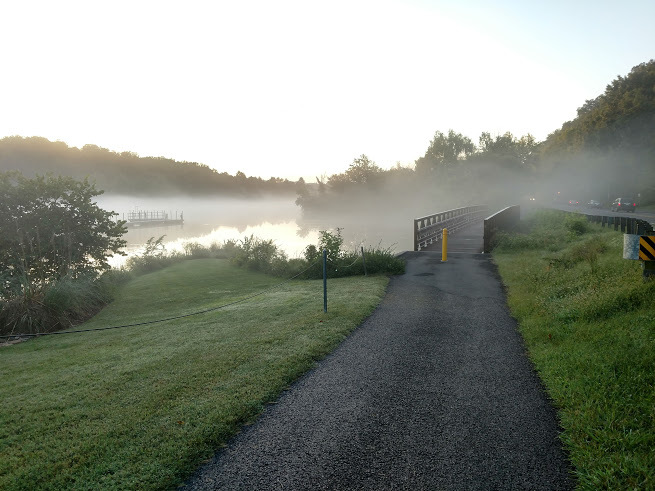 I was able to slip out early this morning and go for a run on the Melton Lake Greenway path. I did well on the 4 miles out, but had to walk a few places on the way back. But I made it back to the car. When I first started out it was a bit foggy. As the sun came up the issue became heat and humidity. In the shady spots it was beautiful. In the sunny spots I was sweating like a glass of iced tea.